So there’s this company in Reno, NV that’s pretending to be green by doing pointless things like using quality “green” wood that splits when you blow on it and “green” soybean concrete floor sealer that comes off with electrical tape. We’ll call this company The “Green” Group. Normally part of being “green” is to recycle. Hooray planet and all that. Like cardboard. It’s easy to recycle. I’ve recycled countless cardboard boxes the servers and other gear I’ve purchased came in and even get [tiny amounts of] money for bringing them in. But enough about me. What you’re not seeing in this picture is the three construction guys filling it up and jumping on it to compact even more cardboard in there before it was hauled away. (My cell phone video sucked so bad you couldn’t tell what was going on.) But wait! 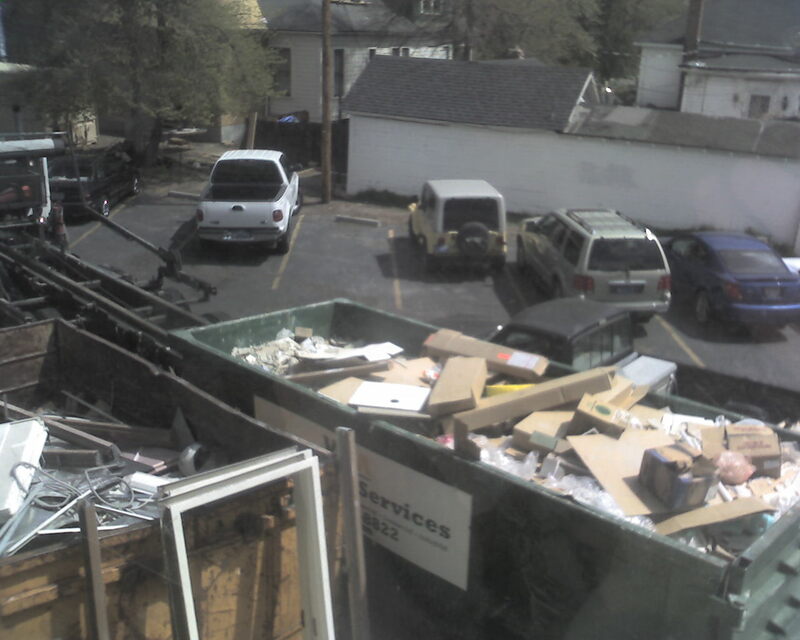 It gets better: this was only one dumpster out of three filled with cardboard (mixed in with other general trash) – straight to the Lockwood landfill. I’m no expert on “green” like they claim to be, but I’m pretty sure this isn’t it. I guess at least the dumpster is painted green. The good news is that the larger pieces of metal were put in a separate bin, and the local homeless pulled the copper wiring from the trash to recycle themselves. I’m all for environmentally friendly, but do it in the right places and don’t cut corners when you don’t think anyone is looking.